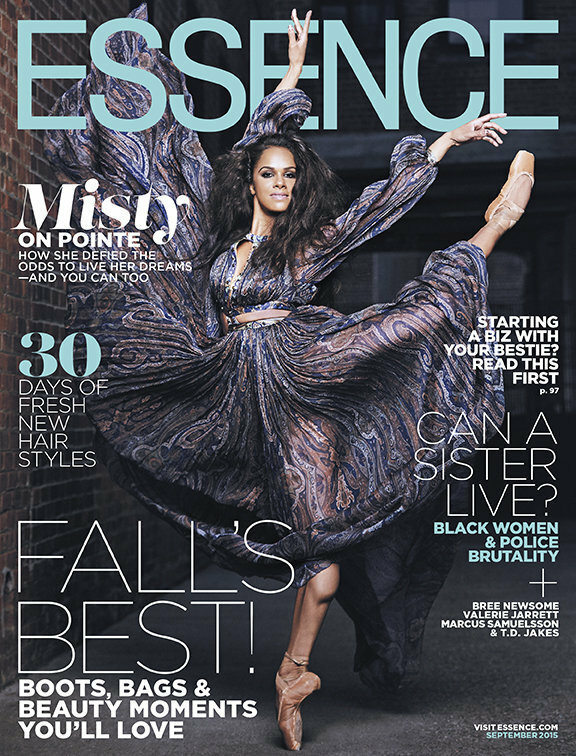 KayKiSpeaks.com: Black Ballerina Misty Copeland's New Essence Cover & Career Are So On Pointe! Misty is black. This in itself presented her with all sorts of obstacles on her journey to living her dreams. After being told she couldn't be a ballerina because she wasn't lean enough, or she didn't look the part- Misty dedicated her life to her craft and took those threats head on. Here we are just a few years later and her name is everywhere. Not only is she now one of the most popular ballerinas in the game, but she also just made history as the first Black Principal Dancer at the American Ballet Theatre. This is big stuff. "I'm going to continue to be who I am and my experiences as a black woman have made me who I am. All of a sudden now that I'm in this position, I'm not going to say, 'I'm just a dancer.' It's a huge deal because I'm a black woman. That's why it's a big deal." This isn't the first time the dancer has opened up about being a black woman in a genre of dance that hasn't been too willing to embrace her people. She has shared her story- the black story of struggle in the ballet world every chance she has gotten. To Misty she is responsible for telling it, and shattering the ideas that created it all in one. It's all the same thing to her. Along with making huge strides in her own career, she's a mentor to quite a few young black dancers at the ABT. Needless to say there are many many more young brown dancers watching her twirl her way to the top from a far. I can't wait to watch her story continue to unfold as a piece of our history! Check out her beautiful photos from the Essence feature, and be sure to get the magazine on stands tomorrow (8/14). Weeeeerrrrrk Queen!! !